ClickHouse: Open-Source Distributed Column-Oriented DBMS — An open-source column-oriented database management system that allows generating analytical data reports in real time. pickaxe: An SQL-Based DSL Web Scraper/Screen Scraper — A C# / Mono based Web scraper that takes a novel approach of letting you scrape the Web by building special SQL queries. There are lots of examples to look at. Elasticsearch-Based Image Search using RGB Signatures — An interesting technique to be able to use Elasticsearch to provide image searching functionality. 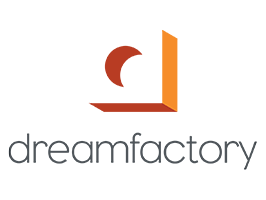 DreamFactory 2.2 released, includes important API changes — Our API automation platform keeps getting better with new streamlined commercial packages. VisualAlchemist: A Web-Based Database Diagramming Tool — An open-source Web-based database diagramming tool that’s under active development and looking for contributors - check out the online demo. PostgreSQL Exercises — If you’re looking for a way to practice your SQL skills some PG Exercises offers some good example data and exercises to hone your skills. 10 Reasons to Migrate to MariaDB (If Still using MySQL) — A better ecosystem, increased popularity, more storage engines, and potential for future data incompatibility are pressing reasons, says Seravo. PGDay UK 2016 (London, July 5) — The UK’s only dedicated PostgresSQL annual user conference returns next month. SQL Server 2016 Developer Image Now in The Azure Gallery — A free licensed version of SQL Server that you can use to develop and test SQL Server applications. Considering migration to PostgreSQL? Get help from the experts — From initial migration assessments and migration assistance, to training and 24/7 technical support, turn to the PostgreSQL professionals for the most comprehensive service. Scaling Out MySQL with PostgreSQL and Citus — How PostgreSQL and Citus can help to scale out existing MySQL data. Efficient Color Similarity Searching with Postgres — A novel example of what you can do with Postgres and computing similarity. What If Apache Spark Was Also The Database?